Hack Facebook Account : So if you think hacking someone’s Facebook account just by knowing their mobile number is an old method, then you are thinking wrong. It is as easy hacking a banking account according to real-world SS7 attack, it has been stated that some unknown hackers exploited design signal system to drain victims of bank accounts. Billions of user are using Facebook accounts so, hacking Facebook is the biggest query present on the internet. There are many people who attacking Facebook accounts to hack them. But it’s very hard to find the actual method of hacking at Facebook account. According to researchers the only method to hack Facebook account is by knowing the mobile number of the user with some hacking skills. This method has become pretty easy for hackers to hack any Facebook account by using telecom service. We know it is scary for you to think about your Facebook account getting hacked because you have taken all the security measures to protect your account. Your Facebook account can get hacked, no matter how strong is your Facebook password. Even if you have much extra security measures still your Facebook account can get hacked by hackers just by knowing your mobile number. If they have capabilities to spoil SS7 network then they can easily hack Facebook account just by knowing your mobile number. All they need is targets mobile number with some other details to do the hacking. The SS7 flaw has been giving a pathway to the many hackers who try to hack Facebook by sending and receiving messages. The SS7 is the signal protocol used by telecom industries to exchange information. The SS7 send all the messages without knowing the origin because of this hackers can easily divert any message or calls to their by simple tricks. All they need to know is victim’s phone number to start snooping. To know how to hack someone’s account the attackers first click on “forgot password” button on the facebook.com homepage. After this Facebook will ask you for a mobile number or email id to reset the password, but for hacking the password attackers will need to fill the legitimate phone number. After this attacker will divert the SMS containing ONE TIME PASSWORD to their mobile or computer. 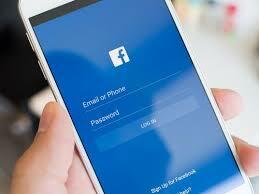 After receiving it hackers can easily login to the target Facebook account. This problem can effect to the users who have registered their mobile number with Facebook account. It is also very easy to know your friend’s phone number if they have registered to Facebook with their mobile number. This not only happens with Facebook but also other social sites like Google, twitter also has left open doors for the hackers, because they all use SMS to verify the account that gets registered on their sites. So it became very easy for hackers to hack anyone social media accounts that use mobile numbers of users to verify their account. We know that network operators can’t overcome these problems very soon but there some precautions smartphone users can use to save their Facebook password from hacking. First is clear that don’t ever link your Facebook account with you mobile numbers rather use only emails to get recovery from lost passwords. 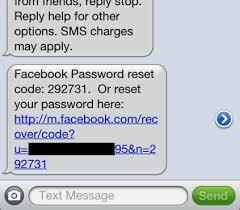 You can use two-factor authentication that does not require SMS texts to receive the password resetting codes. Use only applications that give you end to end encryption to encrypt your data before it leaves your smartphone. However this is not issue for faced booksecurity, instead it is the main issue for our telecom security. Facebook website is completely secured, but it someone can easily hack your account just by knowing your mobile number, so the main weakness is in our telecom network which can easily get hacked. For precautions, we like to inform you to switch to turning on two-factor authentication, called Login approvals in your Facebook account.it will disable the recovery via sms on your Facebook account. So with this even someone have your mobile number, still they will need password to Hack Facebook Account. So this problem will remain same as long as you have registered on Facebook via mobile number. According researchers it is stated that this technique can hack any service which uses SMS to verify their user accounts.